HealthCare.gov Recruits Leader Of Successful Connecticut Effort : Shots - Health News The question will be if Kevin Counihan can replicate his success in Connecticut with the federal health exchange, which was plagued with problems. The goal: A smoother Year Two for Obamacare. Under Kevin Counihan, Connecticut's health insurance exchange used concerts and storefront offices to reach customers. The federal government has recruited the leader of one of the most successful state health insurance marketplaces to lead the federal health exchange, in the hope that the second year of Obamacare will go more smoothly than the first. 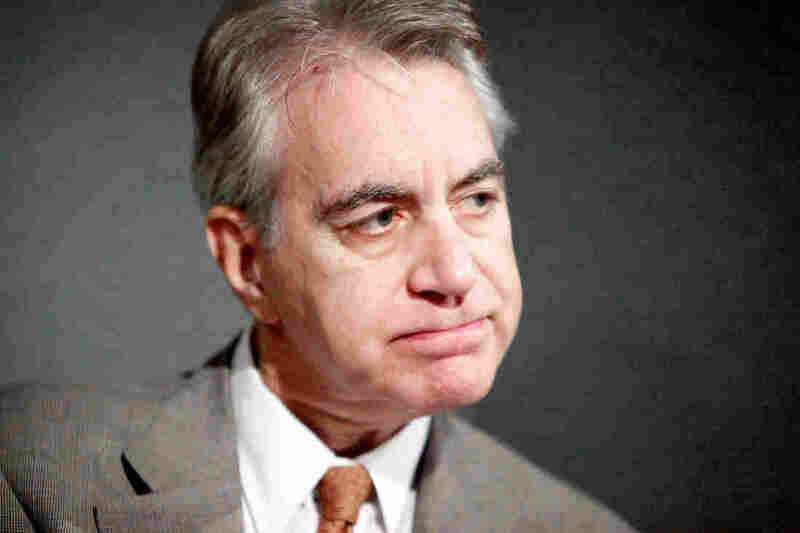 Kevin Counihan, the head of Connecticut's health insurance marketplace, will be the new CEO of HealthCare.gov, the website that 36 states use to sell insurance under the Affordable Care Act, the Obama administration announced Tuesday. Department of Health and Human Services Secretary Sylvia Burwell tapped Counihan to lead the site as part of a revamped management structure. Under Counihan's leadership, Access Health CT signed up about 79,000 people for coverage through Connecticut's exchange; another 120,000 gained Medicaid coverage. Surveys show that about half the people who gained coverage in the state were previously uninsured. "One of the most important things we did is we showed that government can work," Counihan said at a press conference in Hartford Tuesday. "It can take on a highly complex social program and succeed." But taking the reins of healthcare.gov will be a much tougher job. Connecticut has a Democratic governor and legislature, and it embraced the law early, including the expansion of Medicaid. HealthCare.gov serves states that are actively hostile to the law in the Deep South, as well as states that are adopting the law to a minimal degree and states that are active partners in running the exchange. At the press conference, Connecticut Gov. Dannel Malloy joked that Counihan should have his head examined for agreeing to go to Washington. He also said that Burwell had called him to discuss Counihan, who confirmed that he had been recruited for the position. Government Tech Problems: Blame The People Or The Process? Enrollment for Obamacare Year Two starts Nov. 15, and the challenges are many. In addition to making sure the technical glitches that plagued HealthCare.gov stay in the rear-view mirror, Counihan will be responsible for keeping people who are already signed up satisfied, as well as reaching out to the millions of Americans who are eligible for coverage but not yet insured. Counihan said he's optimistic that it can be done. "People understand intuitively that having people uninsured is not right for them or right for the country," he said. "Now, how we go about doing it — people can debate and there can be solid policy differences. But I'm fundamentally very optimistic that even though there are some big ideological schisms, that those can be bridged." The Connecticut exchange excelled at marketing insurance, taking the pitch to Lil Wayne concerts, jazz festivals and a storefront on a city street. Counihan credits some of that success to the pool of talent he was able to draw on in Hartford, an insurance capital. Counihan has several decades of experience in health care, including launching complex new coverage programs. After a career in the private insurance industry, including Tufts Health Plan and Cigna, he helped launch Massachusetts' successful health exchange starting in 2006. He also helped launch a private insurance exchange in California. This is the second high-profile addition to the HealthCare.gov second-year team. Earlier this summer HHS brought on Andy Slavitt, who helped fix the site's initial problems as an executive with contractor Optum. Counihan may have caught the president's attention a year or so ago during a conference call with the leaders of the state-based exchanges. Counihan recalls talking to the president about the marketing event at the Lil Wayne concert: "And he said, 'Lil Wayne. I've never been to a Lil Wayne concert.' And I said, 'Well, Mr. President, neither [had] I, and I don't think I'm exactly in the target demographic.'" Later in the meeting, another exchange official from a different state talked about advertising their state's exchange on coasters at bars. "My counterpart in that state had said that she felt too old or embarrassed to actually go into bars to see if it's working," Counihan said. "At which point the president said, 'Well, if Kevin can go to a Lil Wayne concert, you certainly should be able to go to a bar.'" Julie Rover contributed to this report. Editor's note: This post was updated to include information about Counihan attending a Lil Wayne concert.